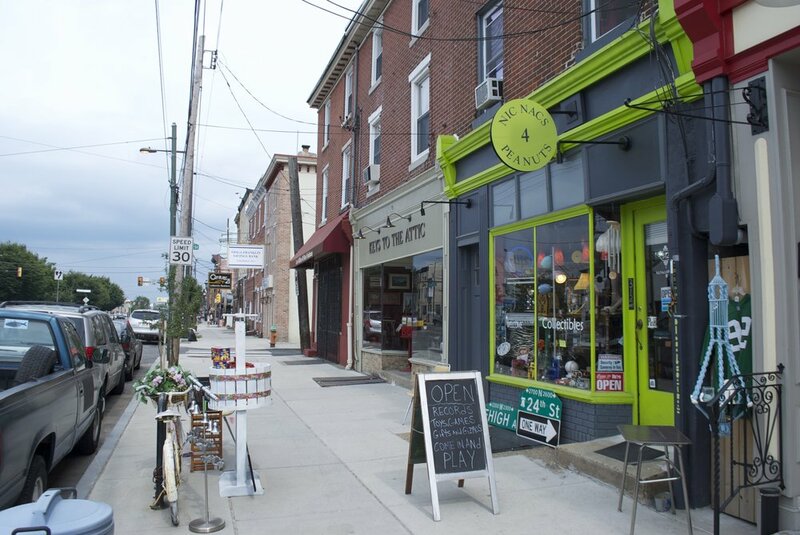 The neighborhood of Fishtown in Philadelphia has enjoyed a renaissance since 2009. To help foster continued responsible growth along East Girard Avenue in this burgeoning commercial corridor district within the City, the New Kensington Community Development Corporation (NKCDC) engaged Studio 6mm to create standards for new development along the Avenue. 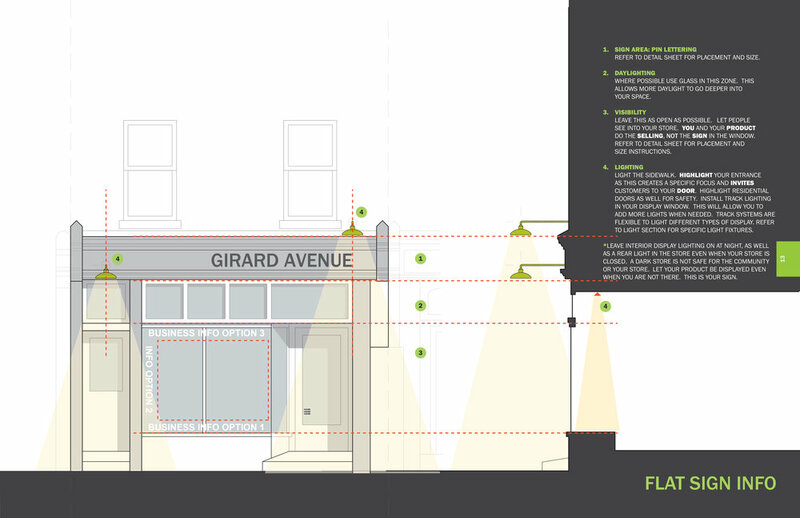 These standards were developed through a study of six prototypical structures identified as models along the 300 block of East Girard Avenue. Considering facade improvements, visual merchandising strategies, storefront renovations, and streetscape improvements, this project was completed in the Fall of 2013 and has been featured on CBS News and highlighted in the 2013 Design Philadelphia Festival. Developed in two phases, the recommendations for this project speak first to the immediate needs of the subject properties along the ‘model block’ and second to the long term visibility of the corridor for the foreseeable future. A ‘Menu’ of recommendations for signage, lighting standards, street furniture, awnings, and streetscape improvements has been developed for distribution to interested store owners both within and outside the confines of this project. This menu details options, recommendations, and best practices to help foster a more cohesive vision for the future of this community.